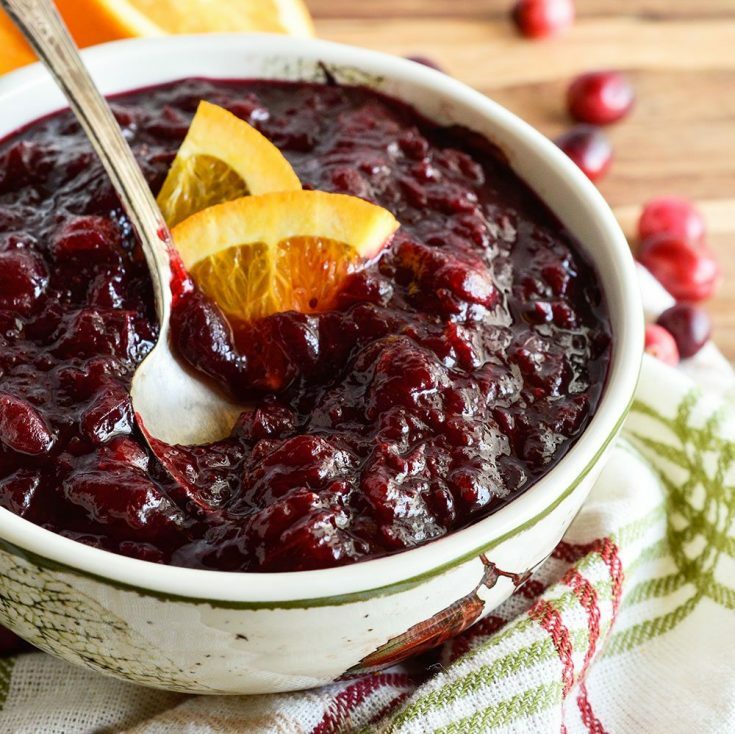 Slow Cooker Cranberry Sauce is an easy, no-fuss way to make this holiday favorite! Just mix ingredients, set your crockpot and move on with your life. 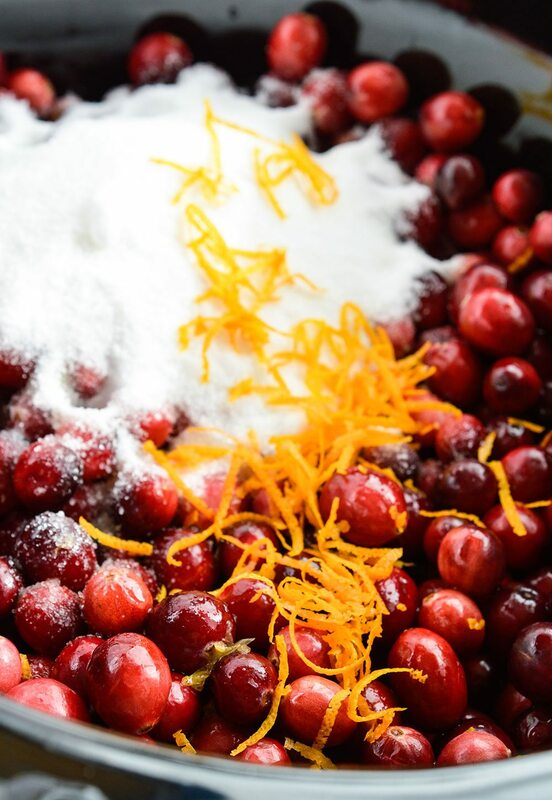 Delicious, homemade cranberry sauce will be ready and waiting! Oh Yeah! My favorite part of the Thanksgiving feast . . . Cranberry Sauce! I was that kid that ate an entire can of cranberry sauce. As an adult, I still eat more than my fair share! But nowadays my cranberry sauce is not shaped like a can. It is homemade. 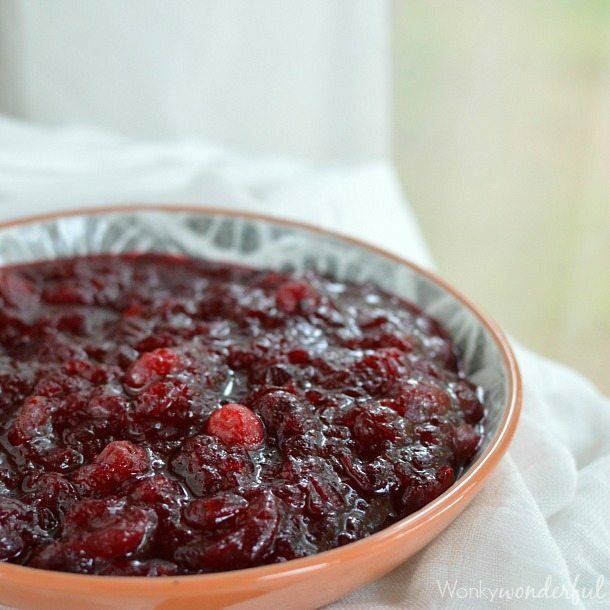 Cranberry sauce is one of the easiest Thanksgiving recipes to make. 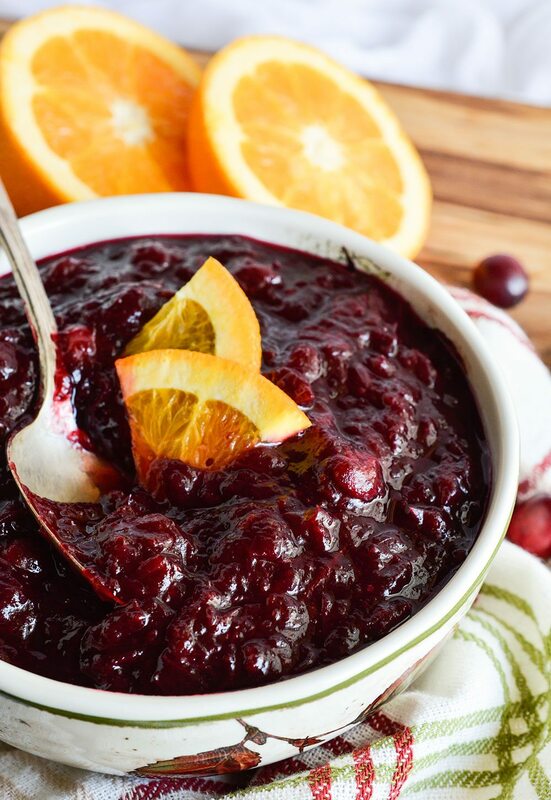 Especially this Slow Cooker Cranberry Sauce. 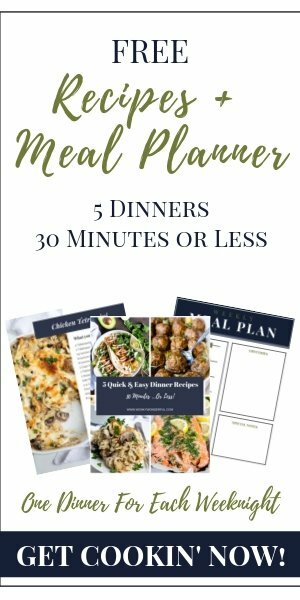 Just toss the ingredients into your slow cooker, set it, forget it, eat it! 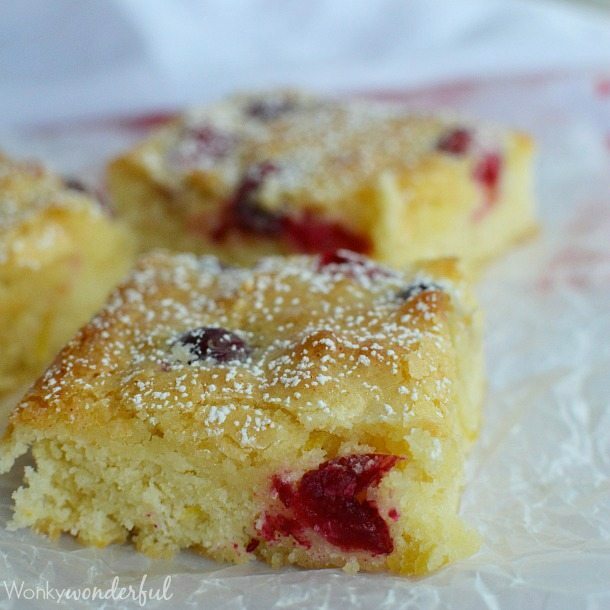 I kept this recipe traditional with a blend or orange and cranberry. Feel free to add your own unique twist. A little ginger or cherries would make it really POP! Check out my previous cranberry sauce recipe: Cran-Cherry Sauce, Ginger Cranberry Sauce and Boozy Cranberry Sauce. If sauce needs to thicken more, cook with lid ajar for about 15 minutes before turning off heat. 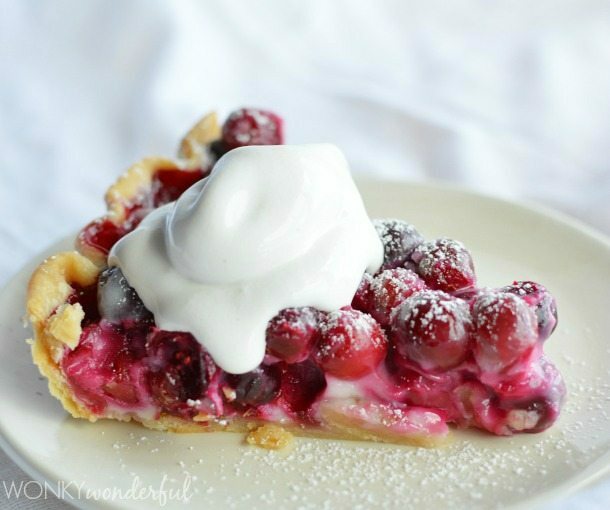 More Terrifically Tart Cranberry Recipes. . .